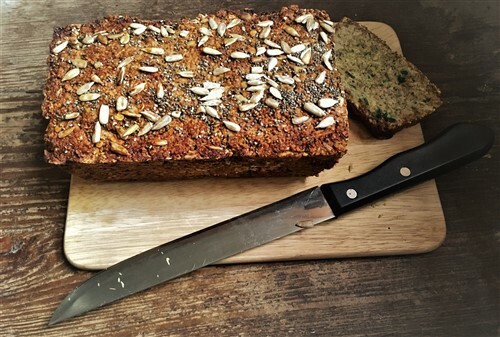 With January enjoying its last few hours before we greet Imbolc and Saint Brigid’s Day tomorrow (a celebration which, with the exception of the Saint Brigid’s Cross, has been lost in the mists of time), I have prepared an oatmeal porridge bread recipe in honour of the occasion. “The housewife made sure the house was clean and tidy for the occasion and no matter how poor the household, always provided a festive supper or at least some tasty dish on St Brighid’s Eve”. He also explains how some porridge or cake would be left outside alongside the Brigid’s Mantle and some straw as an offering to Brigid and her white cow. 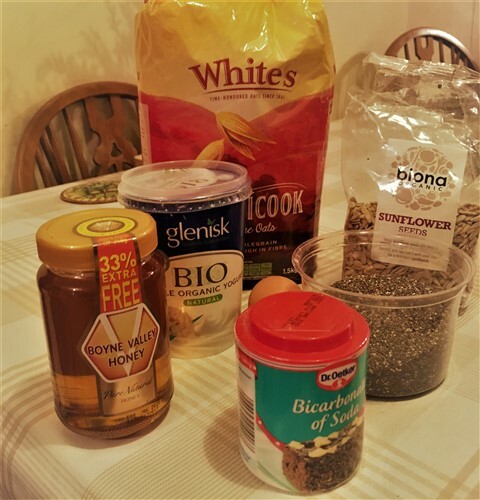 Of course, these traditions have now been consigned to the history books, but I thought it would be fun to explore a new oat bread recipe in honour of Imbolc and the old Irish ways. 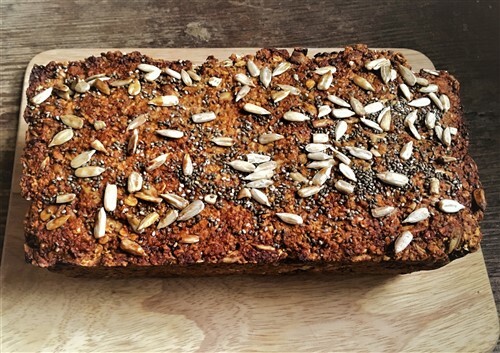 This oatmeal porridge bread recipe is wheat free, super easy to make and so delicious you will not want to be leaving any outside as an offering. It makes an amazing speedy breakfast or lunch with a bowl of soup. 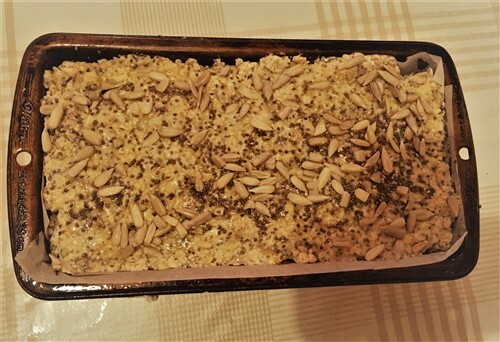 NB* there isn’t a massive rise on this loaf so I use this Wilton medium loaf tin (pictured above) which measures 8.5″ x 4.5″ x 2.5. The batter fits in this tin neatly.